See the former coronation church of Hungarian kings and the largest Gothic minstry in Slovakia at St. Martin's Cathedral (Dom svateho Martina), whose tall spire dominates the Old Town. Once a part of the city's fortification walls, the 85 m (279 ft) high tower is topped by the Hungarian crown set on a gilded cushion. The inside of the church features Gothic, Renaissance, and Baroque decor, as well as 19th-century Viennese stained-glass windows. A prominent feature of the interior is an equestrian statue of St. Martin dressed like a hussar. The cathedral houses the relics of an early 7th-century saint, John the Merciful. 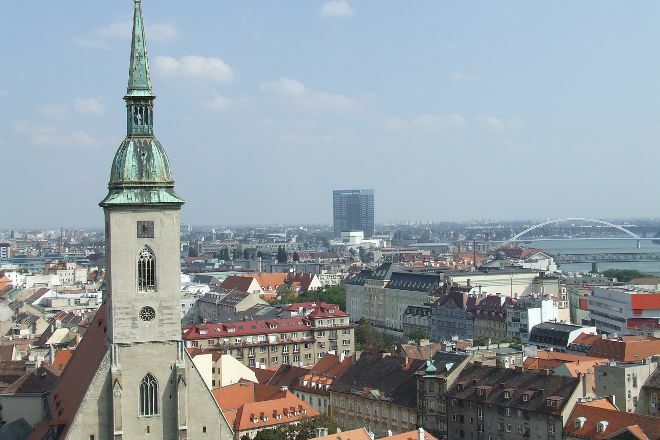 Plan to see St. Martin's Cathedral (Dom svateho Martina) and other attractions that appeal to you using our Bratislava route builder site . Beautiful place full of history. A few very interesting facts. All the Queens and Kings of Hungary Austrian Kingdom were crowned in this cathedral. The golden crown on the top is relatively small when you look at it from the ground level but it's actually as big as a car. Nice looking church with somewhat Gothic architecture... The exterior is not very enigmatic but it is beautiful from the inside. Had a short look there. Nice church but nothing special personally. 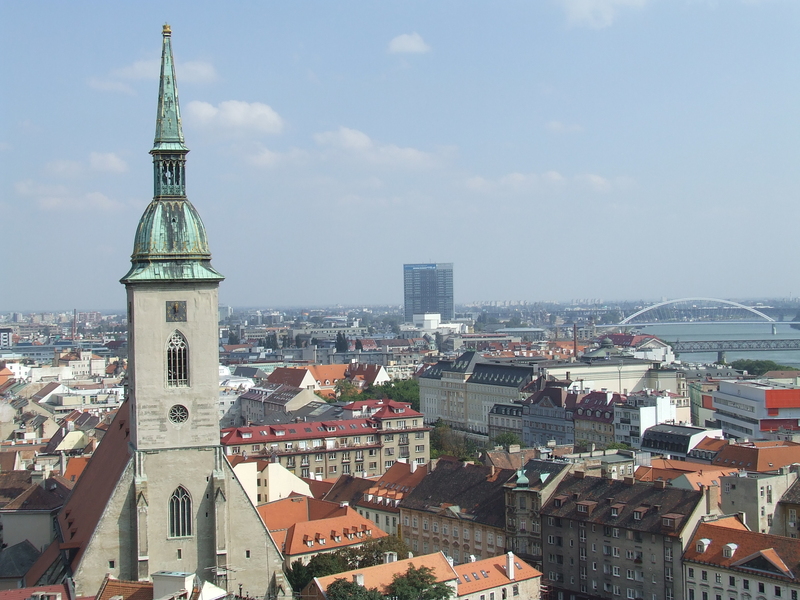 A spire dominating the skyline of Bratislava is the three-nave Gothic church from the 15th century which served as the former coronation church. A gold-gilded replica of the coronation crown, weighing 150kg and the size of a small car, is atop of the cathedral tower of 85m. The interior is ornate but when we visited there was a concert, so we could only peep through the door. Every day, we help thousands of travelers plan great vacations. Here are some tips on how to use your Listing Page to attract more travelers to your business - St. Martin's Cathedral (Dom svateho Martina). Promote your permanent link - https://www.inspirock.com/slovakia/bratislava/st-martins-cathedral-dom-svateho-martina-a110499933 - on your website, your blog, and social media. When a traveler builds a plan from this page, the itinerary automatically includes St. Martin's Cathedral (Dom svateho Martina). This is a great way for travelers looking for a great vacation in your city or country to also experience St. Martin's Cathedral (Dom svateho Martina). Promoting your link also lets your audience know that you are featured on a rapidly growing travel site. In addition, the more this page is used, the more we will promote St. Martin's Cathedral (Dom svateho Martina) to other Inspirock users. For best results, use the customized Trip Planning Widget for St. Martin's Cathedral (Dom svateho Martina) on your website. It has all the advantages mentioned above, plus users to your site can conveniently access it directly on your site. Visitors to your site will appreciate you offering them help with planning their vacation. Setting this up takes just a few minutes - Click here for instructions.